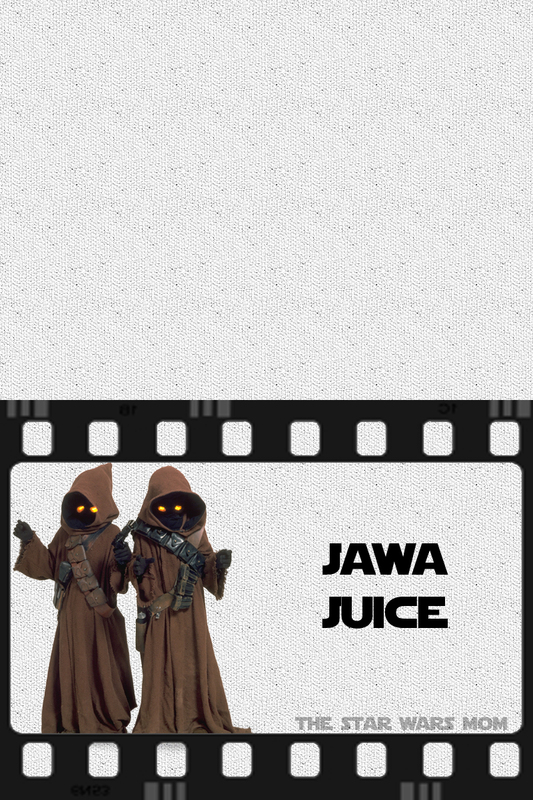 I'm not going to do a photo shoot of these free printable Star Wars party signs or labels for drinks. 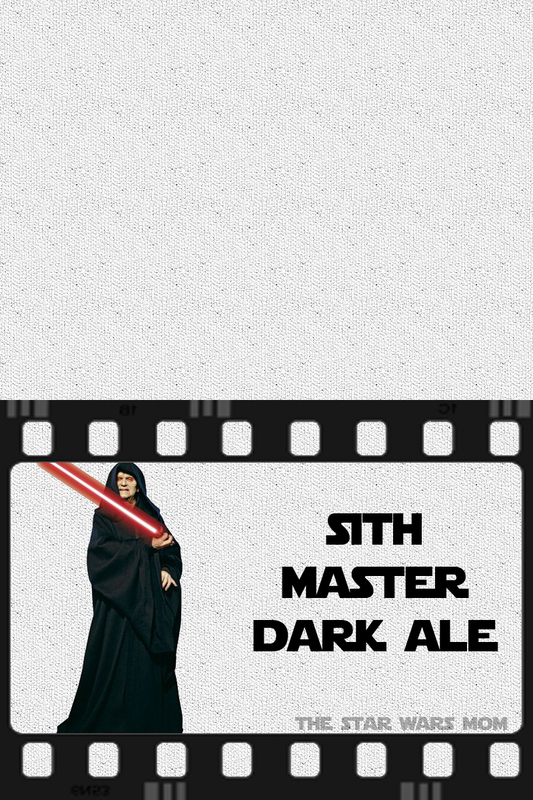 Just quickly putting them on here, as I had a request for them before a Star Wars Superbowl Party this weekend. 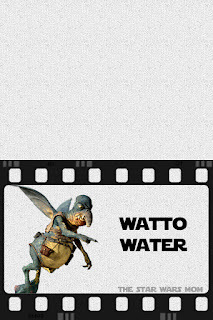 We have others on this site, but here are three new ones for Sith Master Dark Ale, Jawa Juice, and Watto Water. 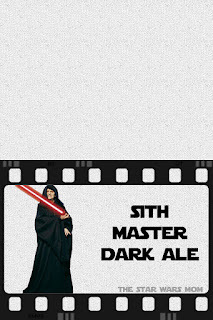 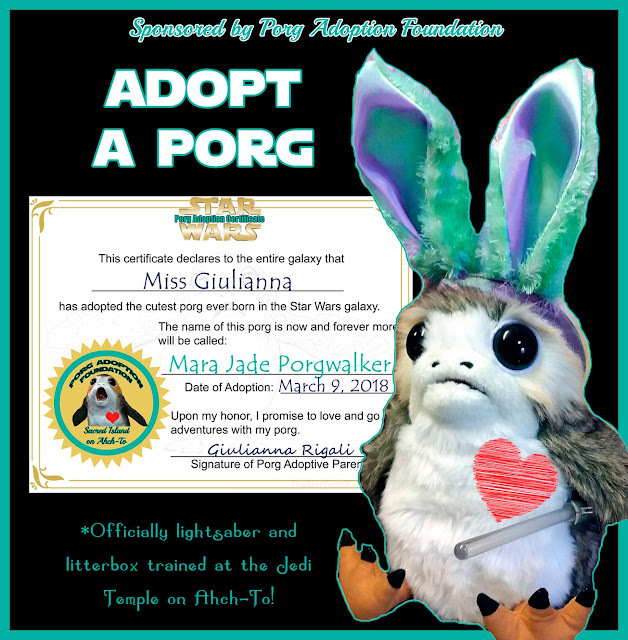 Elsewhere on the site you can find Jedi Master Pale Ale, Bantha Milk, and Yoda Soda Floata Party Food Signs and/or Labels. 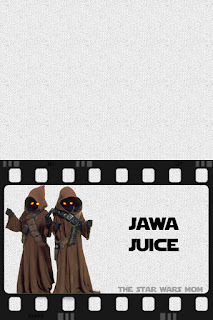 Just click on the Star Wars Party Food and Drink Labels to print or download. 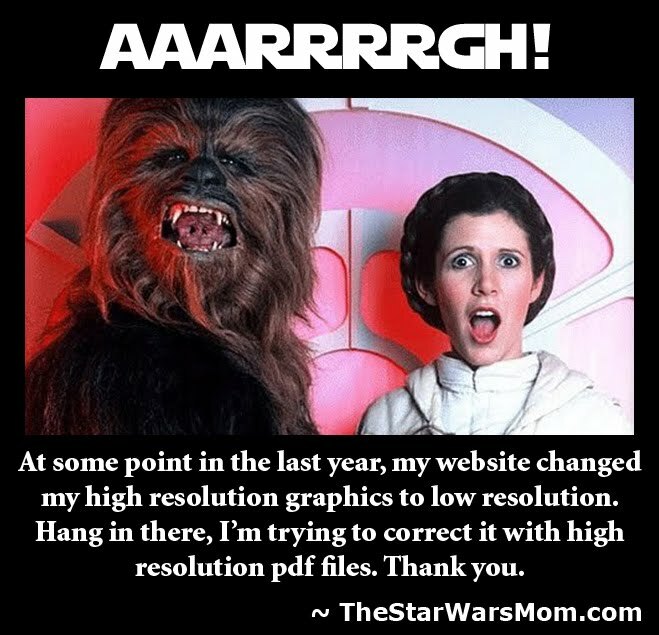 Print, cut, fold in half, and display. Enjoy!